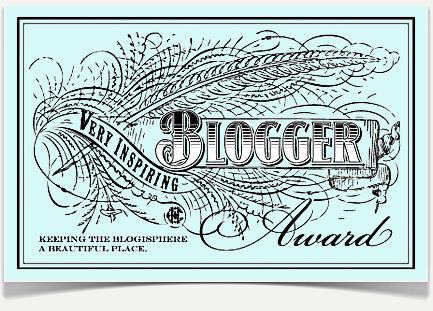 You need to nominate ten other inspiring bloggers, and, you guessed it, think of more facts about yourself! (I think I’ll nominate 5, so I’m focusing on people that really do inspire me – hope that’s okay!). So, on with the facts! I’d rather drink hot chocolate than tea or coffee. I’m writing my thesis at the moment, and I’m still excited by the topic! I have been with my lovely boyfriend for two years and eleven days. I really hate being cold! I own way too many scarves. Sometimes I wear two, if it’s very cold. I’m currently trying to work out what to do with my life after graduation, which is a bit scary! 1. Gillian at Always Unpresentable – our blogs are of a similar age and she’s been a great blogging friend, inspiring me to keep going! 2. Grace at That Grace Girl – I love the simplicity of her blog and the sleek photography. 3. Maya at Playing with Fashion – I wish I had half her style. 4. The wonderful lady behind Every Day In A Dress – a project I wish I’d thought of! 5. Miche at Buttons and Birdcages – she has so much crafty talent! And that’s it. Thank you so much to Sheen for the nomination, and I hope this has given you all some new reading material! This entry was posted in Blogging and tagged blog award, blog awards, blogging award, very inspiring blogger award. Bookmark the permalink. ← Project 10 Pan Take Two! That actually sounds fantastic! I’d love to read it someday : ) I love that myth, and a great spin on the analysis!